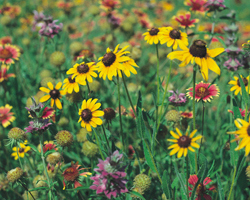 Year after year, our Native Texas Mix has been one of our best-selling mixes. And it's no wonder! 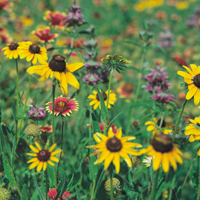 It is a blend of native annuals and perennials that provide a carpet of color throughout the spring and early summer. It's also the best value around. 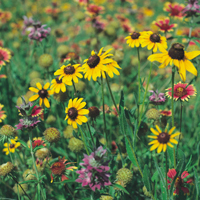 Unlike so many of the other so-called native wildflower mixes, ours contain no "extras" of domesticated imports from Africa or Europe, nor are they packed with any rice husks or other inert matter to pad out the package and make it look like you're getting more than you really are.